We all know that exercise is good for us—for a plethora of reasons—but, while it has its benefits for the general population, fitness can especially serve those with other specific conditions. The standard list of favorable advantages of fitness—stronger cardiovascular health, weight loss or management, etc.—can prove even more advantageous for groups managing certain diseases, such as diabetes. Exercise can help manage diabetes in a number of ways. Most obviously, exercise helps control your weight, which, in turn, helps to regulate blood sugar, which directly relates to insulin. “Weight training, specifically, reduces insulin resistance and improves insulin sensitivity,” says Jason Kozma, celebrity trainer and founder of High Performance Personal Training. Diabetes isn’t a one-size-fits-all kind of condition. 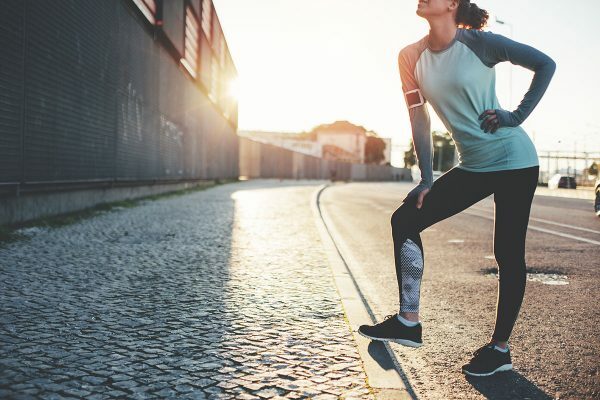 Keep reading as we explore the connection between exercise and the disease and how it can help manage diabetes. Type I occurs when the body doesn’t make enough insulin. You tend to see the onset of this earlier in life, and it is more linked to genetic predisposition and/or pancreas malfunction. Type II typically occurs later in life, usually brought on by lifestyle choices—poor diet and unhealthy body weight. Its mechanism is a little different initially. The body makes a sufficient amount of insulin, but the cells are resistant in opening the gates for sugar use. As a result, the insulin levels rise and more insulin is made that the body is blind to because cells are resistant to insulin. This leads to the glucose levels going up, which results in damaging effects. In later stages, the insulin secretion also diminishes. While their onsets are different, both types of diabetes deal with the same issue of too much glucose in the blood. Over time, this can cause damage to the eyes, kidneys, and nerves. Diabetes can also lead to heart disease, stroke, and, in severe cases, limb amputation. Pregnant women can also suffer from gestational diabetes. Currently, there is no cure for diabetes. Can exercise help manage diabetes? Petre goes on to say that there are indirect benefits of exercise in diabetics, including that it helps to improve diabetic neuropathy (this is a type of nerve damage that can occur in diabetes). Due to this neuropathy, diabetics are more likely to have an increased risk of falls. Exercise aids with increasing circulation and helping with the repair of any nerve damage. Can I jump right in? For Type 1: If your blood sugar is 300 mg/dl or more before a workout, retest it within five to ten minutes of starting your exercise routine. If your blood sugar is decreasing, you can keep going. If not, it’s best to stop exercising because this indicates there is a problem. For Type 2: Avoid exercise altogether if your blood sugar is 400 mg/dl or higher. The key is consistency. You want to turn your body into a glucose burning machine, this will help manage your blood glucose and A1C level (this is a blood test that tells you how well your diabetes management plan is working). Yrizarry-Lang shares her top five exercises that can easily be done at home, in the park, or at the gym with no equipment. Squats are the best way to firm up the legs and keep them looking good. You simply step your feet hip distance apart. Center your body weight on your feet and pretend to sit down on an imaginary chair. Your back stays flat and the chest is lifted. Once you get to about 90 degrees, come back up to standing position and repeat. Be sure to contract the glutes as you are working your way back up to standing. Step one leg behind you, so that you feel like that foot is standing on its toes. The front knee is right over the ankle, the chest is lifted, and the abdominals are tight. Next, bend the back knee to about 90 degrees. As you come back up, contract the muscles of your glutes to work your way up and then do it again. Your goal is to perform ten repetitions on each side. Contract from your rib cage in order for the upper body to come up properly and the abdominals to do their job. Place a light weight in the feet and make all the effort come from the rib cage. Exhale as you come up and let the head rest in the hands with little to no effort from there. From your knees, walk your hands forward until you have a straight line from the top of your head to your knee. Next, separate your hands so that when you bend the elbow, they bend to 90 degrees with your elbow right above your wrist. Take it from there, exhale as you lift and keep those abdominals tight and solid! A cardio routine does not have to be complicated. Set a timer for whatever time you have, choose your favorite tunes, and get your groove on! If you prefer a group exercise experience, there are classes like Zumba, Jazzercise, and hip-hop workouts. Use dancing as a go-between with the exercises listed above, or use it as a stand-alone activity, you choose! It’s clear that exercise can not only help manage diabetes, but also some of the alignments that go hand and hand with the disease. Just remember to stay fully hydrated and pay close attention to your sugar levels. This will help you determine what is the right workout for you. Talk to a doctor before starting any new exercise routine. Find out how soon you can exercise post-heart attack, what recovery looks like, and what warning signs to look out for going forward.